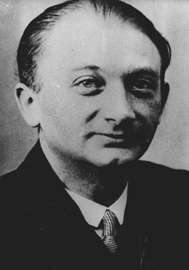 The short life of Joseph Roth (Schwabenhof 1894 - Paris 1939) was all influenced by the great crack of the war. After his participation as volunteer and after being held prisoner by the Russian army, the echoes of war and of the ruins he experienced starting from 1919 spread all over his works and are already prominent in one of the his earliest books, the 1924 romance Hotel Savoy. Beside the renowned novels, we cannot forget his unruly but brilliant and sublime activity in journalism continued from the cities of Wien, Berlin and Frankfurt, before emigrating to the United States in 1933. Among the many writing and essays we can detect a remarkable part dedicated to cinema and one in particular is dedicated to the first flood of films inspired by the First World War. The short text we take today as our starting point was published in Italy in the book L'avventuriera di Montecarlo. Scritti sul cinema (1919 - 1935) (Adelphi, 2015). In the above mentioned article (first appeared in "Frankfurter Zeitung", 25 August 1931) he firmly asks to stop with films generated by the war trauma. He starts from the analysis of the German film Douaumont and tries to figure out what happens in the filmmakers' minds when they start thinking about a story set on fake trenches and artificial lights. What emerges from this short yet interesting piece of journalism is a deep skepticism about the possibility of producing such movies. The first attack is for the directors, since they think to conceive their war films starting from a "documentarist" attitude. Their strong efforts in creating a new impossible "realism" of war is pointless since it brings the veterans to a useless comparison between the tragedy they experienced in the trenches and in the battlefields and the simulation reconstructed in the film studios. Roth realizes also that all veterans are interested in such films and somehow justifies their motivations but he cannot justifies the motivations that brought to life the first real war film industry. What disturbs Roth as a veteran is the fact that in this new war film industry everything "works perfectly" and this has nothing to share with the misery of life he tries to recollect in his mind. At the end, the unbridgeable distance Roth identifies in this early attempt of describing the new war film business is the one between the clean celluloid and the human flesh. We all approximately know what the war film industry has become and we do not even debate about such themes. Think only about the Vietnam war or about the recent Iraq war and you will easily understand that a debate around the feasibility of war films seems today out of question. But is it?